Sound science put to rest numerous unsubstantiated global warming scares in 2008. Sensationalist predictions that the North Pole would melt, polar bear numbers would decline, hurricanes would run amok, devastating droughts would occur, and Antarctic ice sheets would flood the southern seas never materialized. Unfortunately, this will not stop the purveyors of gloom and doom from creating similar false global warming scares and sensationalist predictions for 2009. Keeping in mind the following 10 global warming truths will help us avoid falling prey to global warming scams in the upcoming New Year. Global temperatures are not rising. The warmest year in the past century occurred a full decade ago, in 1998. Temperatures have been gradually and steadily falling for most of the past decade. Temperatures in 2008 were no warmer than temperatures in 1980. The Earth is colder than its long-term average. For most of the past 10,000 years, global temperatures have been 1.0 to 3.0 degrees Celsius warmer than our current climate. Twentieth century temperatures appear unusually warm only when compared to the preceding Little Ice Age, which had the coldest global temperatures of the past 10 millennia. The rise of human civilization occurred in a much warmer climate than that of today. Polar bear populations are not declining; they’re thriving. The global polar bear population has more than doubled since the 1980s. Moreover, polar bears had no problems surviving and flourishing in the much warmer temperatures that dominated the past 10,000 years. Polar ice is not shrinking. Arctic sea ice has moderately declined in recent years, due in large part to a recent shift in regional wind patterns. But in the Southern Hemisphere, Antarctic sea ice has been growing at a record pace. Polar ice as a whole is right on its long-term average. Global warming is not causing more droughts. Throughout the twentieth century and since, global precipitation has been increasing, as has global soil moisture. A recent paper in one of the world’s foremost peer-reviewed science journals noted, “the terrestrial surface is literally becoming more like a gardener’s greenhouse”--an environment that is great for plant growth. Higher levels of atmospheric carbon dioxide are not killing sea life. Numerous recent studies show that aquatic ecosystems become more productive and robust under higher carbon dioxide conditions. Assertions that higher carbon dioxide concentrations cause harmful ocean acidification are unsupported by real-world evidence, ignore the prevalence of shellfish during prior geological periods when there was much more carbon dioxide in the atmosphere, and would apply to only a small subset of aquatic creatures versus the vast majority of aquatic life that benefits from higher atmospheric carbon dioxide. Global warming is not causing more extreme weather. The frequency of hurricanes, tornadoes, and other extreme weather events is no greater now than in prior decades and centuries. Even daily high temperature records were more frequently broken 70 years ago, in the 1930s, than they are today. Global deserts are not growing. On the contrary, the Sahara Desert and others like it have been retreating for decades. Scientists do not agree on a policy of alarmism. More than 32,000 scientists have signed a formal statement, prepared by a past president of the National Academy of Sciences and co-authored by an atmospheric scientist at Harvard University, saying there is no global warming crisis. By contrast, the United Nations’ Intergovernmental Panel on Climate Change (IPCC) has only 2,600 participants, many of whom are not scientists, and counts the staff of activist groups Environmental Defense and Greenpeace as its lead authors. This is a great concise article on the truth behind the global warming myths. I keep asking the alarmists if climate change is man-made, why did the Sahara become a desert thousands of years ago and if it's global, why is Antarctic ice increasing? Great summary. 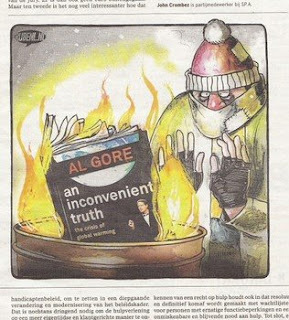 Thanks for the concise presentation of AGW myths. If you could point to a scientific article (hopefully concise) that back up each of these statements, I would have more credible info with which to debate. Usually the non-scientist AGW proponents only repeat what they have heard or read in the main stream media, so giving them a scientific reference backing up my politically incorrect anti-AGW attitude would help. THanks.